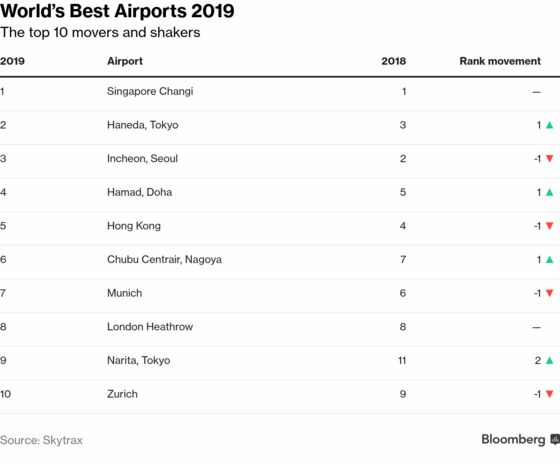 (Bloomberg) -- For travelers looking for a pleasant airport experience, Asia remains the best bet. 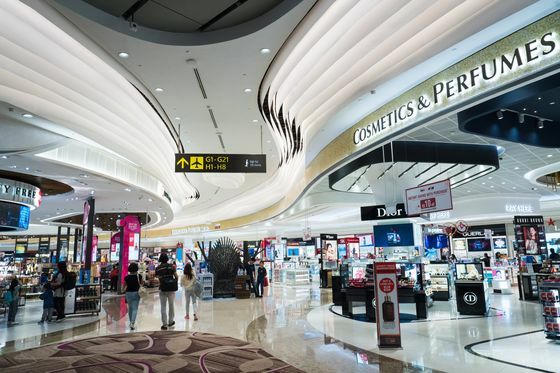 Singapore’s Changi is the planet’s best airport for the seventh straight year, according to the latest rankings by Skytrax. It’s followed by Tokyo’s Haneda, Seoul’s Incheon and Doha’s Hamad, with Hong Kong rounding out the top five. But Singapore was beaten by its old rival when it came to filling up before a flight, as Hong Kong grabbed the top spot for the best airport dining experience. Munich Airport, in seventh place on the best airport list, was the highest ranked among airfields in Europe, sitting just one place ahead of London Heathrow. Airports in the U.S. were absent from the top 10 list on an airport customer survey that’s been conducted annually since 1999. Vancouver was the highest ranked airport in North America, at 17, while Denver was the best placed among U.S. airports at 32. New York’s JFK fell five places to 74. Changi Airport -- which handled a record 65.6 million passengers last year -- is expanding its capacity to meet rising demand for air travel. The airport is building a fifth terminal, a third runway, as well as a shopping-dining-leisure facility called the Jewel to attract more passengers. Asia also dominated Skytrax’s list in other categories. 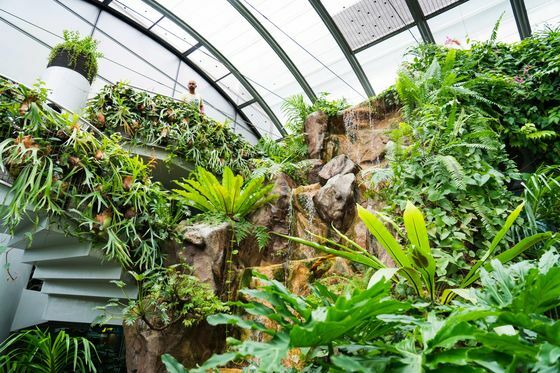 Haneda won the title for the world’s cleanest airport, while Changi took this year’s top awards for best leisure amenities and best airport hotel, for the Crowne Plaza.